Our activities with our Tollers seem to cross over into many activities. 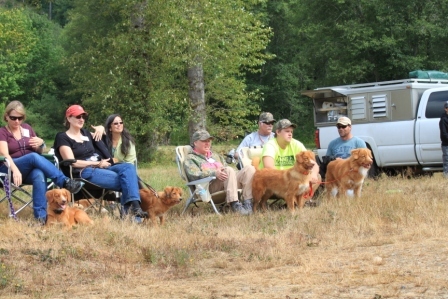 From our growing experience in the field with Puget Sound Retriever Club www.pugetsoundretrieverclub.com and achieving a Working Certificate Title at the US Toller Specialty in 2013, and a long history of organizing AKC Conformation Dog Shows with Peninsula Dog Fanciers' Club www.pdfc.com is only seemed natural to organize a NSDTRC-US Working Certificate test in our own backyard. 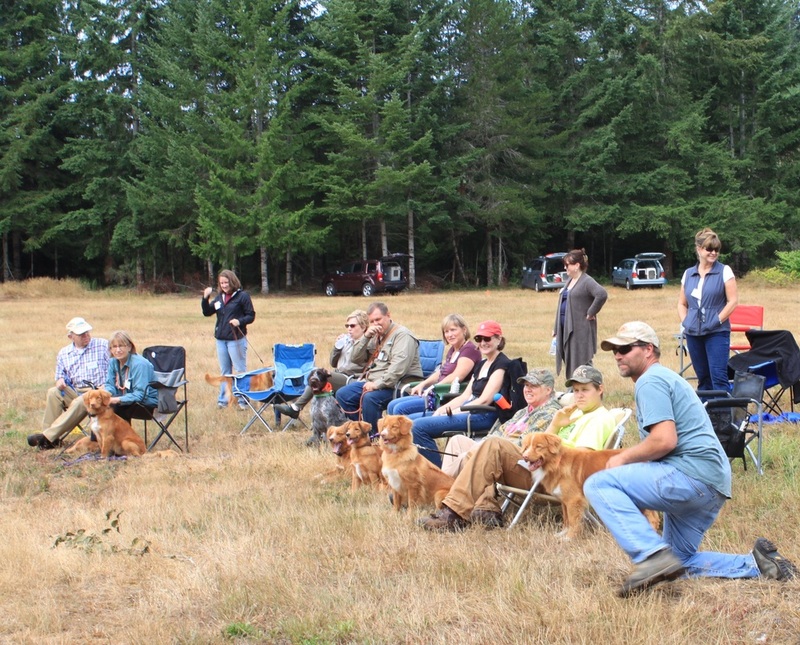 I am fortunate in my involvement with Puget Sound Retriever Club - maybe they find me amusing.... but the offer had been extended in the past that they would be willing to support a WC for the Toller community if I could pull one together - so I did. You can read about the Toller WC with PSRC under "Ramblings". 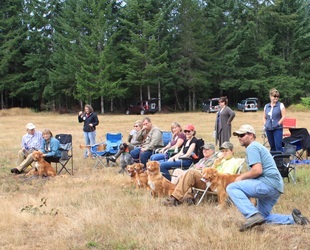 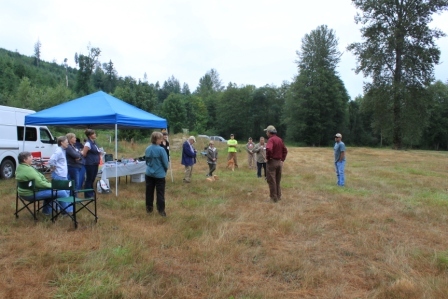 As a result of, and also a high interest in field events from people with less field experience than myself, I was able to coordinate with PSRC for a one day "Basic Retriever Field Clinic". 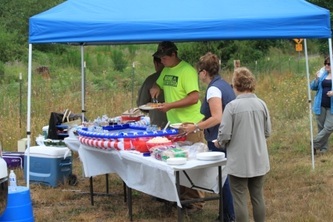 It was a great success. 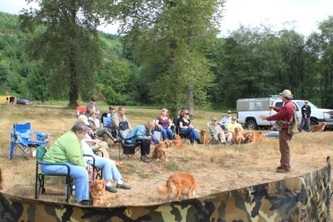 This will be a future topic under "Ramblings"
I owe many thanks to Puget Sound Retriever Club. 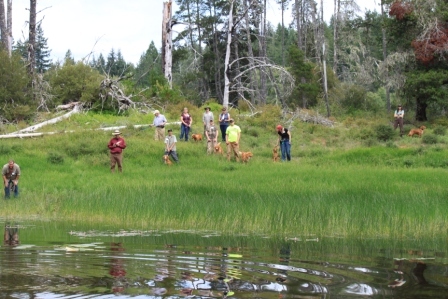 As a new member of PSRC, I had zero experience in the world of hunting retrievers, their natural skills and any training methods. 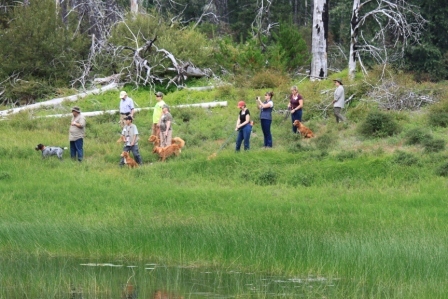 I was welcomed into the field by the members eager to share their love of the outdoors, their dogs and the sport. Without their help, I would not have been able to achieved the field titles that we have under NAHRA, HRC or the NSDTRC-US Working Certificate. I have since shown my appreciation of their support and the love of the field events by becoming the Facebook coordinator for PSRC. 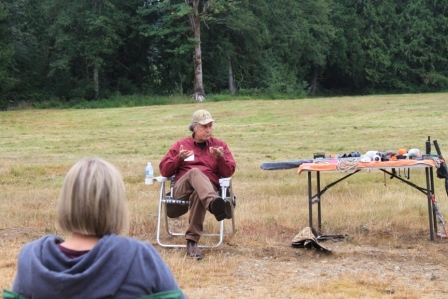 This gives me the opportunity to "Soapbox" every now and then on various topics. 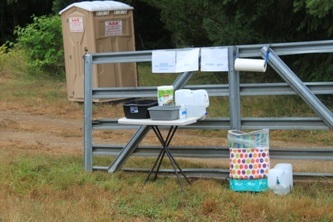 Most have been well received. 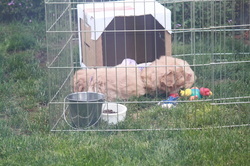 You can read my ramblings under "Ramblings".